The 2013 FJR1300A gets substantial revisions, including ride-by-wire throttle, traction control and selectable Sport and Touring engine control modes. These computer-controlled systems are complimented by an all-new cruise control as well. The new FJR also has revised styling, including a new windscreen designed to reduce back pressure on the rider, and which rises and lowers twice as fast. The windscreen now retains the same position when the key is removed. All new instrumentation is complimented by a new handlebar switch system, which also controls the windscreen, standard heated grips and cruise control. The 2013 FJR1300A is available this month in Stone Grey (pictured) at a U.S. MSRP of $15,890. Yamaha has also revise the FZ8 middleweight naked with new fuel injection settings, muffler and adjustable suspension, both front and rear. You will have to wait until February of next year to get a 2013 FZ8, which will be available in Matte Grey/Black at a U.S. MSRP of $8,890. Cypress, California, October 2, 2012 – Yamaha Motor Corp U.S. is very excited to launch the new Supersport Touring 2013 FJR1300A. The FJR 1300 has a long and decorated history within the motorsports world, and the original model created a new category of “Supersport Touring” motorcycles, with its silky smooth engine character, strong torque throughout the entire rpm range, outstanding stability, agility and riding comfort. 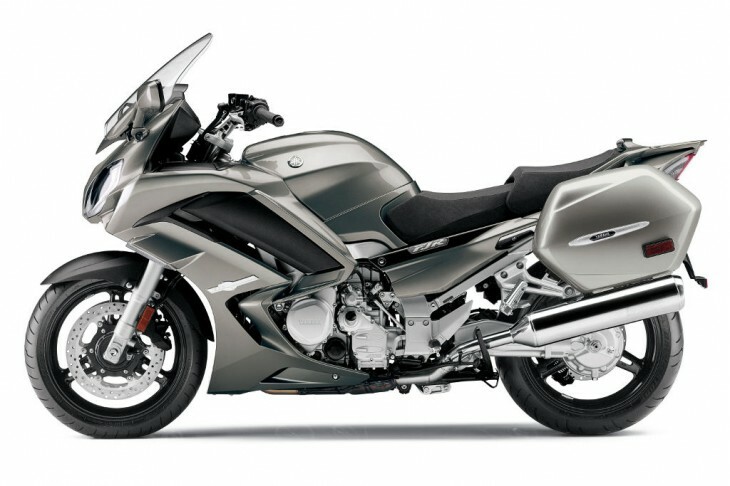 For 2013, the new FJR1300A will deliver a more exhilarating and comfortable ride through a new design that is more modern/sharp and technologically advanced. It now has features that improve on its already great performance and touring capability. The FJR1300A gets a complete electronics overhaul with Supersport inspired features like Yamaha Chip Controlled Throttle (YCC-T), Traction Control (TCS) and D-Mode (Sport and Touring). All these technologies work in unison with an all new Cruise Control system to ensure an inspired ride. The look of the FJR1300A has been completely modernized starting with a more aggressive shape and design of the front and side cowls. The windscreen has been changed and now goes up and down twice as fast and retains the same position when the key is removed. The cockpit of the FJR1300A is completely new. The instrument cluster features three distinct easy to read panels. On the left is an analog tachometer, the center is a digital speedometer and to the right is a multi-dot digital display. The controls feature a multi-function handlebar switch system for operating the windscreen, heated grips and informational display, along with stand alone cruise control buttons. The ability to carve up the road with confidence has long been a cornerstone of the FJR and with new suspension settings front and rear on the 2013 FJR1300A that will be even easier, with or without a passenger on board. 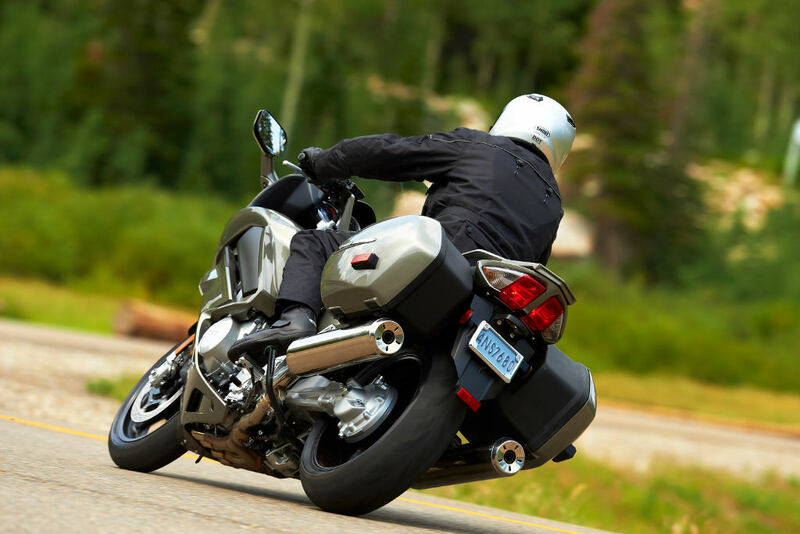 Standard ABS and Yamaha’s Unified Braking System also insure the 2013 FJR1300A braking performance is equally confidence inspiring. The 2013 FJR1300A will be available in Stone Grey with an MSRP of $15,890 starting this October. Designed to put a huge smile on your face whether you’re commuting to work, riding around town or hitting the canyons, the FZ8 is more than up to the challenge. For 2013 the FZ8 is even better, with revised fuel injection settings, a more aggressive muffler, and fully adjustable front suspension (compression, rebound and preload) and rear suspension (compression and preload). 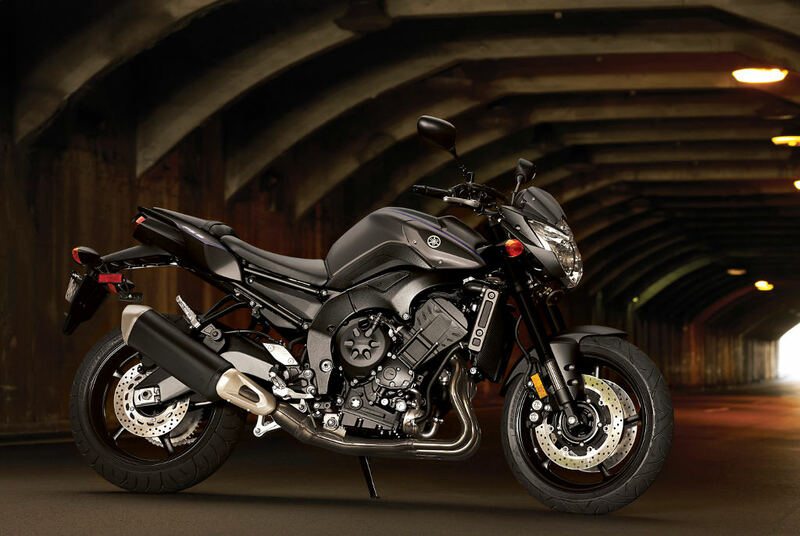 Ever stylish, the 2013FZ8 will be available in Matte Grey/Black with an MSRP of $8,890 starting this February. For more information on these and other exciting new 2013 models from Yamaha please visit our website at www.yamaha-motor.com. Very nice. Easy on the eyes too. I can’t say that about the Connie 14 and the new Triumph Trophy. Both are double ugly IMHO. Still no self-cancelling turn signals? I’m getting a Roadking. I’m going to upgrade from my ’06 FJR. These are nice improvements to an already great bike. I will continue to suffer the injustice of having to move my left thumb a little and occasionally scan my dash for a blinking green light. But this harsh left thumb sacrifice will allow me to enjoy a very high level of handling, braking and acceleration you get with an FJR. And I still think the FJR is the best looking ST on the market, hands down. I will keep my 2005 w/ABS, thank-you. Just rode 1250 miles in 3 days, around Lake Michigan and loved every mile! I’m 62 yrs. old and the only add to my bike is a throttle lock. Nice changes to the 2013 but I agree it needs the 6th gear. There goes the rumor of the FJR1400 based on the YZF-R1 motor with a crossplane crankshaft. I hope the 2013 FZ1 gets a new motor, suspension, brakes, and at least better ergonomics. Nice to see the evolutionary changes to the mighty FJR: I was in no hurry for a complete re-design, as for me, it’s the most sport of the sport-tourers. Lighter on its feet than a Connie, cheaper to own and operate than an ST or Bimmer. I am interested to try the new Triumph though. For me the FJR has always been the bagger that really did feel like there was a lot of R1/R6 under the hood, and hopefully it won’t be as floaty suspension wise as the previous generation. Will have to try one ! Seems like as far as color goes, “you can have any color you want”, as long as it’s silver or flat/matte black. Guess no one likes color anymore. Still just a 5 speed, it does need a 6th or a new ratio in the current 5th. I hope it did not gain 50 lbs! I’ve always liked the FZ8, but I can’t understand why Yamaha would make it so singular in function. Lack of accessories and it’s current configuration limit it to city bike status. It was one of the bikes I had considered when I was shopping around back in April. In the final outcome, the FZ6, although slower, was more suited to my needs. It came down to either the FZ6 or the Versys. I purchased the Versys, outfitted it for touring, and am very happy with it. But I have to wonder, had it been possible to do the same with the FZ8, if I would have been as satisfied. Had I been looking for a city bike, I still would have passed it up, and gone with a Street Triple. As for the FJ1300, I think the latest refinements are welcome updates to a bike that was already great. I’m sorry, I said FZ6 when I meant to say FZ6R, for cryin’ out loud. Even the FZ8 is a dud considering the FZ6(S) it replaced was 50 lb lighter (even with the center stand) and only 7 horse less. Maybe that’s why they numbed the power of the latest FZ6 so that direct comparisons would make the new 8 look better. The big difference between the old FZ6 and FZ8 is torque. The FZ8 makes more all the way through the rev range. The FZ6R as well tuned for torque now instead of peak power high up, but I agree could give a little more HP’s to the 6R because it really is a good all around platform. sure the motor may produce more torque but it isn’t any more powerful – especially when considering the weight gain. People who buy FZ’s instead of R’s don’t care. Peak HP is pretty meaningless on the street beyond a point. Even weight is a secondary consideration once an owner puts down the spec sheet and goes riding. Exactly. ride a FZ6 and FZ8 back to back and you’ll probably prefer the 6 as well. The minimal added power of the 8 is not really noted or appreciated whereas the weight gain and heavier/slower steering is noticeable. I haven’t ridden the FZ6R but supposedly is markedly less of a bike than the original. Looking at spec sheets for the 6R (excuse me) it looks identical to my old ’82 650 Seca. control. At least they are batting 500 on this one. Personally, I switched to a new FZ1, added soft luggage, cruise, and taller shield. So much easier to flick around and i can finally touch the ground with both feet at stops. I have 36,000 on it and no problems yet. Oh,48 mpg is another topper over the FJR. The Gen II bike with the taller gearing made a 6th gear unnecessary. The stretched out overall gearing on the Gen II bikes is fine for smooth, high speed cruising and returns great mileage. My Gen 2 could use a 6th gear and with the addition of the power commander to get rid of the low speed surging my mileage dropped to 40 mpg but rides much smoother now. With a 6th gear it would probably improve to around 42-44 mpg. 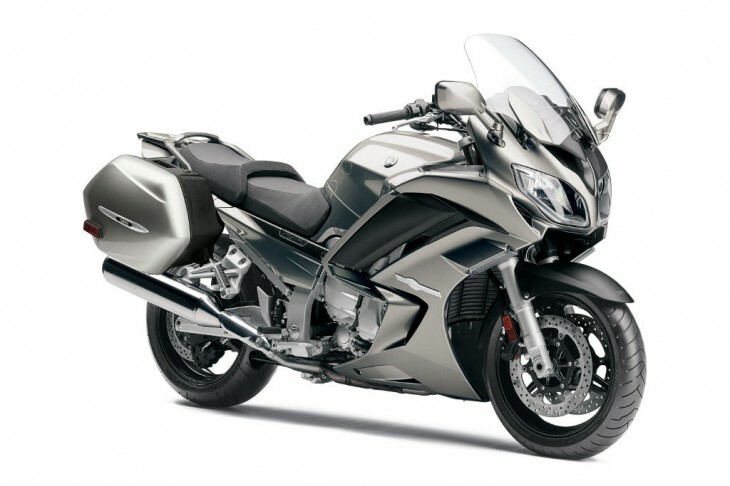 I do like tne new 2013 FJR but was hoping the rumors were true about the 1400cc cross-plane (R1) motor. Weird, my FJR, a totally stock ’06 gets 45 mpg like clock work, almost no matter how I ride it. My only beef with it is the abrupt on-off throttle transition. I guess I’ve learned to ride around it over the years though. Anyway, I’ve never been in the 6th gear camp. My Tenere needs all 6 of its gears but the FJR seems like it could get by with 4. And yeah, I too thought we’d see the cross plane crank with its sweet exhaust note but no, not this time anyway. With the crap economy though, this is a very nice suite of changes and I really have zero problem with the underlying engine/chassis package. Maybe if the world starts working again and folks can afford it, Y will go all in for a full tilt upgrade. In the meantime, I’ll be a happy camper with this 2013. Wow – not exactly earth shattering updates for the FJR. I was suprised they didn’t do a little more. To me, it seems like they did just enough to keep up with the the others. This just makes a used FJR a really good buy. Here’s hoping we get other great bikes at Intermot! there were rumors floating around – even in print from the mags – that we were going to get a whole new design for the aging FJR. I thought it would be a 1400.